Latest News : The 21th Annual Conference and National Achievement Award of the Newspapers Association of India (NAI) | Two felicitated for pledging body donation | The 20th Annual Conference and National Achievement Award of the Newspapers Association of India (NAI) | Country and Politics | GEO Mobile Press Release | “Nominations Open” News Papers Association of India Achievement Award-2012 and 20th Annual Conference | NAI Tribute Ceremony to our founder Late Dr. M.R. 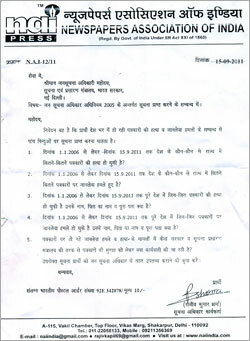 Gaur at Gandhi Peace Foundation | Patrkaro Par Hamla | New Delhi Blast | NAI Members joined Anna Ka Andolan | India, Pakistan meet in Bhutan | Shri P. Chidambaram Honble home minister govt of india and NAI Sr. Reporter Shri Rajesh Sharma | Statement of Rahul Gandhi on Mumbai Blast | Gopinath, Rajnath, To make BJP anath ? 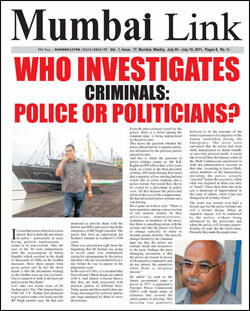 | Politics of secularism : Bane for all religion | Who investigates criminals : Police or Politicians? Newspapers Association of India (NAI) which represents the press at the grassroots level in almost all languages and territories of the country, and which constitutes the core of the press community in this country since its inception in 1993, has endeavored to bring the Small and Medium newspapers and media organization from the length and breadth of our great country together under the ambit of one platform . Until now we were successful in bringing together approximately 7500 such entities as active members under our umbrella. 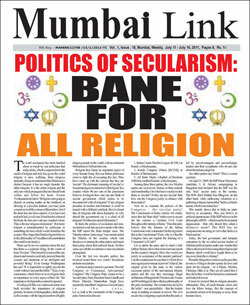 These newspapers are published in Hindi, English and other vernacular languages. Together they enjoy a reach to every nook and corner of the country. Our association actively takes up matters relating to the difficulties being faced by the publishers of these newspapers and also disseminates information useful to them from time to time.